Formally opened by Teesside University Chancellor Paul Drechsler CBE, a former president of the CBI, it will respond to economic and societal needs, by building and equipping the requisite leaders, managers and innovators of the future and working with business to address productivity issues, embrace innovation and develop the skills and knowledge of the existing workforce. This will be achieved by the development of more entrepreneurs, a significant focus on developing a cadre of ethical, leaders and managers, enabling access to the graduate talent and working with business to directly address the barriers to growth and profitability. 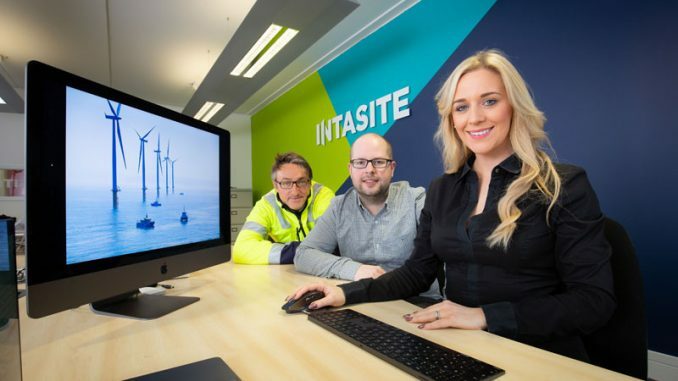 Alongside, state-of-the art learning facilities and collaborative workspaces, the new Business School will see companies, ranging from micro-businesses and SMEs to key North-East businesses, using its facilities and working alongside students, sharing knowledge and innovation. 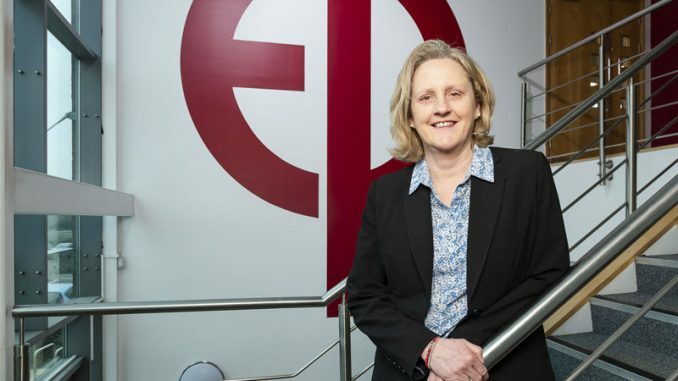 As well as providing opportunities for students to gain insight into real-world business issues and hone their graduate capabilities, it will also provide a forum for collaboration, helping to build a network of engaged students and employers which will boost graduate level job opportunities, keeping key skills and knowledge within the region. 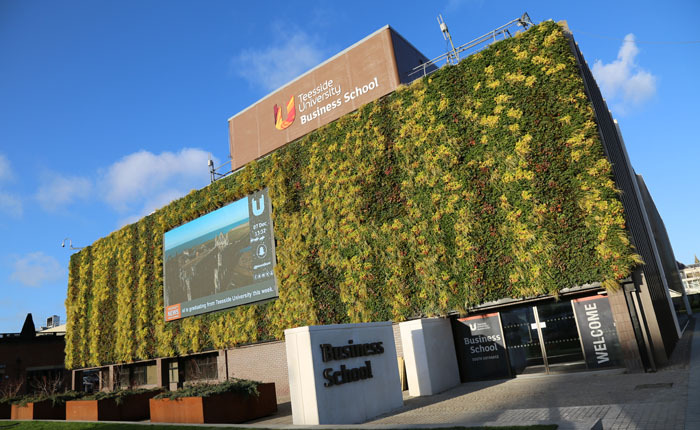 Teesside University Business School has also highlighted scale up support as a key strand of its activity and has introduced a programme for business leaders called Leap 50, which focuses on supporting leaders and organisations through the business scale up process. Mr Drechsler said: “As President of the CBI, I championed the view that education must equip our young people with so much more than just knowledge. “Creativity, thought-leadership, risk-taking and envisioning – the skills of an entrepreneur- are also critical. “It is refreshing therefore, to see this modern and ambitious business school, founded on the principles of enterprise. 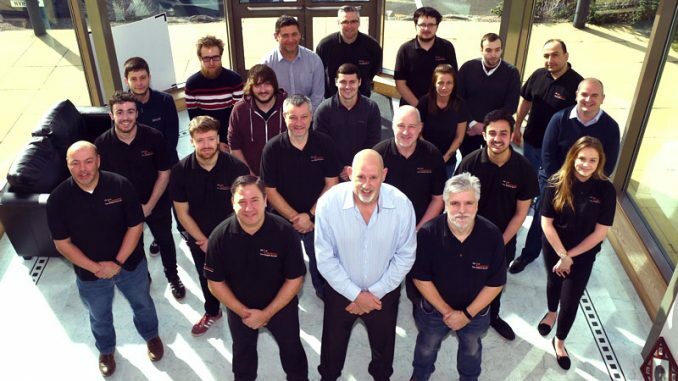 “Here we see a commitment to collaboration, team spirit and partnership. There are facilities here to bring together staff, students, business leaders, local community, and an ethos of cooperation. 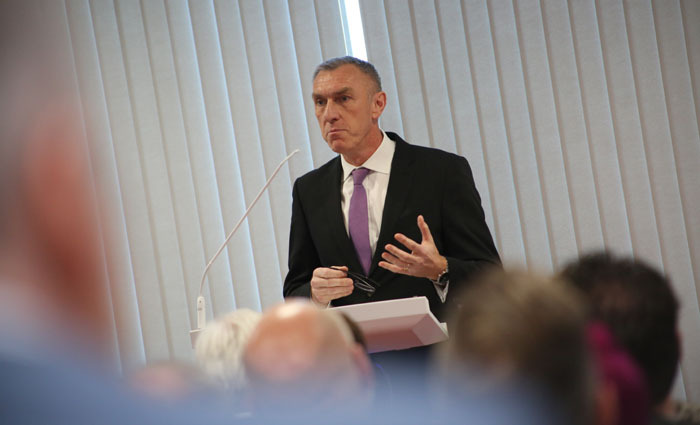 Vice-Chancellor and Chief Executive Professor Paul Croney said: “Teesside University is an anchor institution, driving economic growth through the development of people, business support and innovation. 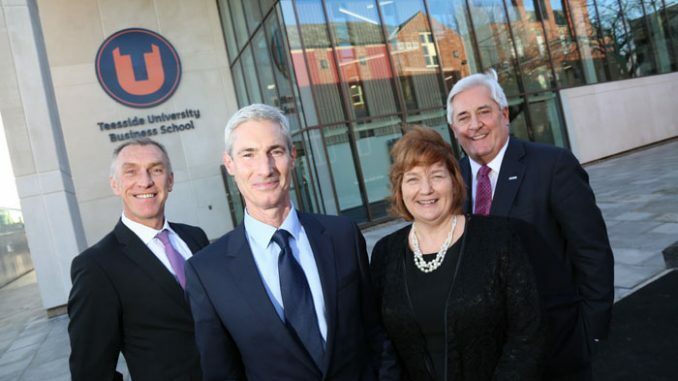 • Pictured (top, left to right): Vice-Chancellor and Chief Executive Professor Paul Croney, Chairman of the Board of Governors Alastair MacColl, Chancellor Paul Drechsler CBE and Dean of Teesside University Business School Dr Susan Laing.